The Traditional Crafts Blog: Help get your craft taught in schools! Help get your craft taught in schools! We are looking for six craftspeople to help create a series of resource packs for teachers. 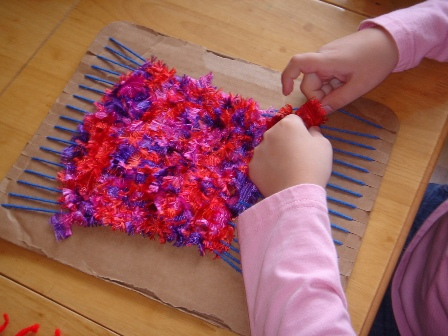 Ideally you will have worked with children before teaching very simple craft projects to 7-12 year olds. We want to feature your craftwork, a little about the history of your craft and offer a taster craft experience that is simple enough for a teacher to help the children complete but interesting too. We have some money to cover your time helping with this. Following the 2004 report “Crafts in the English Countryside, Towards a Future” (part funded by the Ernest Cook Trust and written by HCA Patron Prof. Ted Collins) we know that some traditional rural crafts are at risk of dying out. Other crafts which have been part of our living heritage for generations are less known than they were but there is currently an upsurge in interest. Craft teaching as part of a holistic education has declined in schools as the focus has moved to academic subjects. The idea of this initiative, funded by the Ernest Cook Trust, is to reintroduce traditional countryside crafts into schools, by providing teachers with free downloadable resources with tested craft projects. The projects will be easy to deliver, accessible, fun for pupils and tailored to the National Curriculum (Key Stage 2 – i.e. 7 – 12 years old). Each project will include a case study and activity that teachers can easily introduce to their pupils. We exepect that it will take you two days to write up the case study of your business and activity, and be paid a fee of £300. The Heritage Crafts Association will be leading the project but utilising the knowledge, experience and contacts of Farming & Countryside Education to ensure that the resources are fit for purpose and that the resources are made directly available to the widest audience of teachers. If you are interested in , please contact Pat Reynolds, the HCA Administrator (info@heritagecrafts.org.uk), ideally by 24th March 2013.
opportunity for craft teachers in Scotland? Free QEST marketing seminar on 2 May!